The race has made it the weekend and Jaina is fending off all comers. 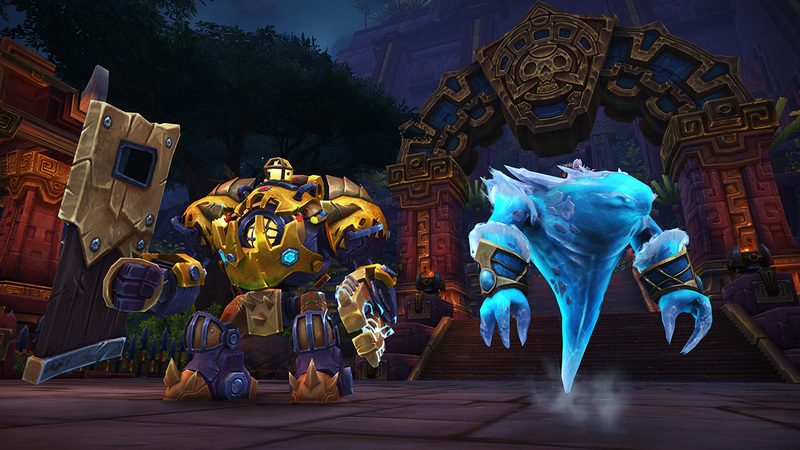 We almost have a top 10 progressing on the raid's final boss, as many guilds pass Stormwall and Method hit a literal wall. For the rest of the top guilds, the day was even more eventful as many of them actually got to see Jaina for the first time. 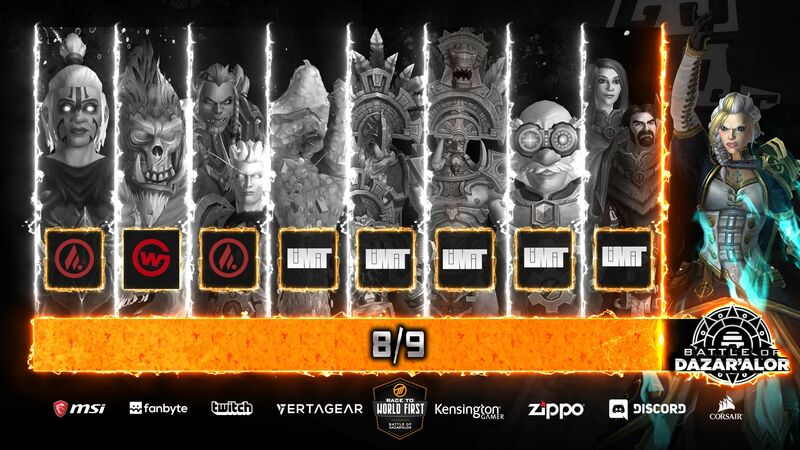 But first, we had a swell of High Tinker Mekkatorque kills, including a second and third one from the Asia servers with Jitianhong (China) and AFK R (Korea) claiming the World 8th and 12th, as well as an Alliance first by Prestige Gaming in at World 11th. As it was basically wall day, Stormwall Blockade got a whole lot of attention and action, seeing six guilds pass it. The Russia vs. China battle that has been raging is getting ridiculous, as Exorsus managed to snag the World 4th over Alpha by a single minute! One minute difference after the Asia servers came up about half a day later than the EU, Alpha is truly showing off what they can do but also further showing how frustrating the advantage both EU and US servers have. The next two kills were again from Asia servers, as both Jitianhong and AFK R moved up a boss in the same order as before, securing the World 6th and 7th, followed by Memento for the EU 4th and Wildcard Gaming for the US 2nd! The race is certainly turning out to be an interesting one, with the ice wall being the focus of attention (at least on Method's side of things, as we still don't know what point Limit are at). The weekend has arrived so there will presumably be later nights for progression and we'll get to see just how doable passing the wall will be.